PHF-P Series displays are built for dependable 24/7 continuous use with commercial-level cooling technologies and are proven durable with IP5X certified dust protection. So you can install your signage smoothly in dusty environments without the need for additional housing, while meeting around the clock operating requirements. They also feature anti-vibration technologies to protect sensitive components. 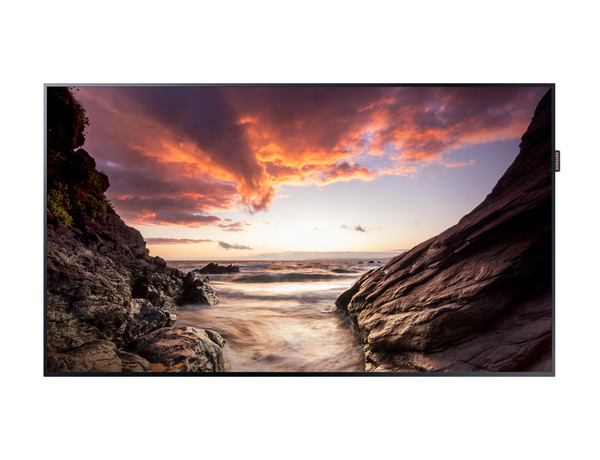 The non-glare, high brightness panel features 700nit brightness to improve visibility of your message in bright ambient light. 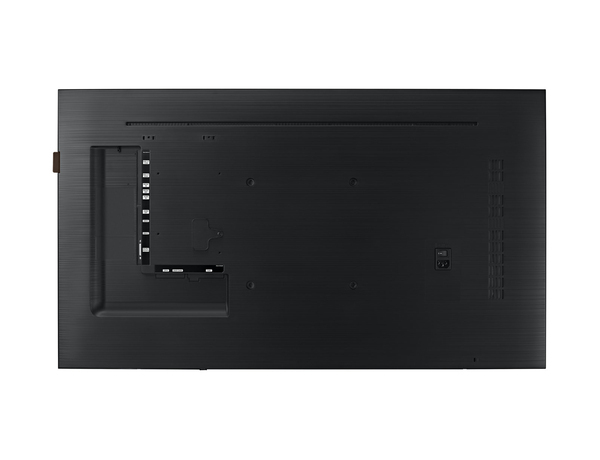 Powered by an embedded System-on-Chip (SoC) semiconductor and quad core CPU with 8GB of storage, Samsung's SMART Signage Platform is an open and integrated player side media platform that provides a powerful, streamlined digital signage solution, with digital signage software like MagicInfo T for PC-less content creation, scheduling and playing and remotely managing content. The PHF-P Series features an ultra-thin 6.9mm bezel and 1.1" chassis depth for an elegant, sophisticated look. And they’re ADA-compliant when installed with the appropriate mount. Samsung B2B SDK allows developers to build web-based apps for customer functionality and greater interactivity. PHF-P Series displays are designed to use content from various external sources including Samsung PIMs. 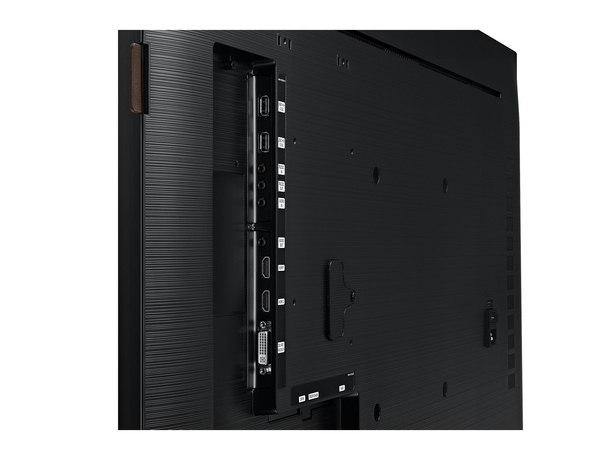 Samsung PIMs use Intel® Open Pluggable Specification (OPS) connectivity to enable power and video source delivery through a single cable. No additional power cord is necessary. Discover versatile connectivity options to display a full range of exceptional content that speaks to your audience. Connections include DVI-I, Display Port 1.2, HDMI, USB 2.0, RS232C/RJ45 and more.